Supper cozy and quaint Ranch Style 3-bedroom, 1.5 bath home located in Oak Grove, KY. Has a nice covered front porch, charming backyard with deck to enjoy beautiful sunny days. Carpet throughout the home, tile in the bathroom and kitchen area. Kitchen comes with Stove, refrigerator and dishwasher. Trey ceiling in the living room which give a beautiful touch. Master bedroom has a half bath and nice size closet. Dogs welcome under 20lb. sorry not cats. Directions:Tiny Town Rd to Pembroke, take a right on hugh hunter (flashing light intersections), Left onto artic, right onto van buren, take the first left onto bush, house will be on the left. SchoolsClick map icons below to view information for schools near 1028 Bush Ave Oak Grove, KY 42262. Home for sale at 1028 Bush Ave Oak Grove, KY 42262. Description: The home at 1028 Bush Ave Oak Grove, KY 42262 with the MLS Number 2001772 is currently listed at $0 and has been on the Oak Grove market for 71 days. 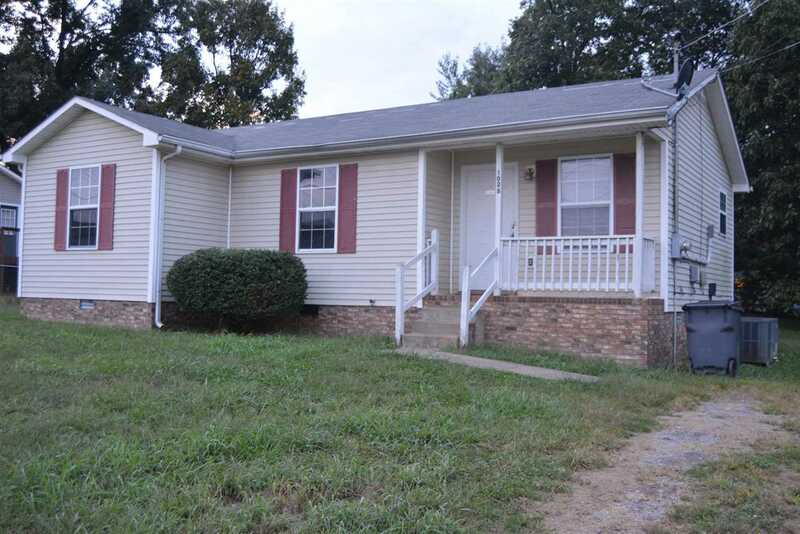 You are viewing the MLS property details of the home for sale at 1028 Bush Ave Oak Grove, KY 42262, which is located in the Country View subdivision, includes 3 bedrooms and 2 bathrooms, and has approximately 913 sq.ft. of living area.